Well, the 2012 Barolo offers continue today with one of the most renowned names in the world -- the great Aldo Conterno. The Aldo Conterno lineup are some of the most popular Baroli on the market due to their completely unique style and very sizeable drinking windows. They are definitely not traditionalists, but it's also not quite accurate to describe their wines as 'modern'. They always show fairly well in their youth, when they are bright, flowery, generous and show just a hint of wood that softens the deceptively-firm structure. This structure gives them a very long life in the cellar as well, where the elegant, beautifully sweet Nebbiolo fruit emerges along with all of the minty complexity you could ask for. This is what I mean when I say they have a sizeable drinking window -- you can enjoy them young or very old and just about everywhere in between. Though that's not to say that they won't go through an awkward phase here and there, of course. Today I'm happy to offer two of the single-vineyard Barolos from the 2012 vintage along with the Riserva Granbussia (one of the greatest wines produced in the Langhe and only in the best years) from the wonderful 2008 vintage. The Colonnello is always the most generous and supple, the Cicala the most fiercely structured. 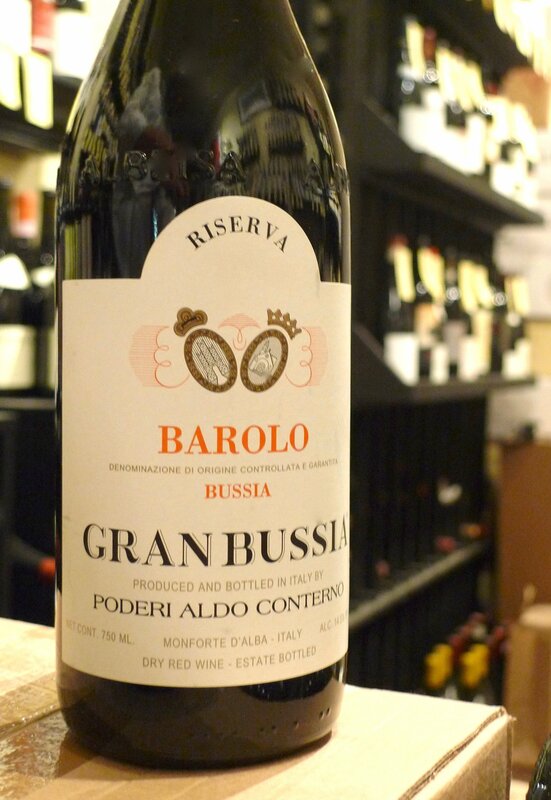 The Riserva Granbussia, what is definitely their most traditionally-styled wine, is a blend of the best grapes from all three vineyards (15% each of Colonnello and Cicala, 70% of Romirasco). Any time a release of Granbussia hits the market, it's an exciting thing, but yet again, this is another absolutely fabulous set of wines from one of the world's benchmark estates.